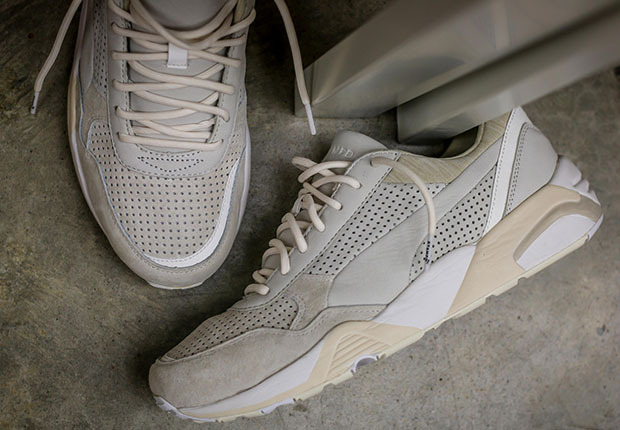 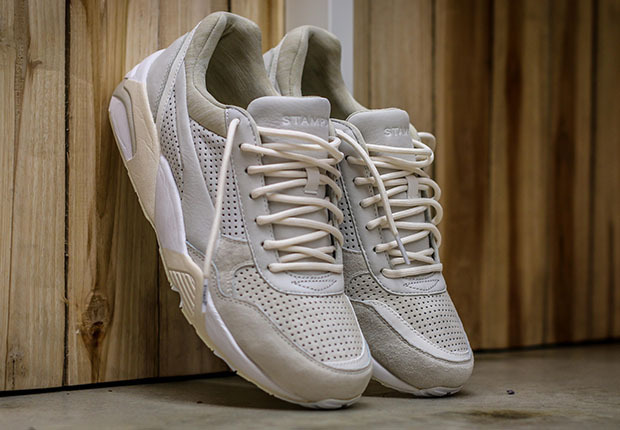 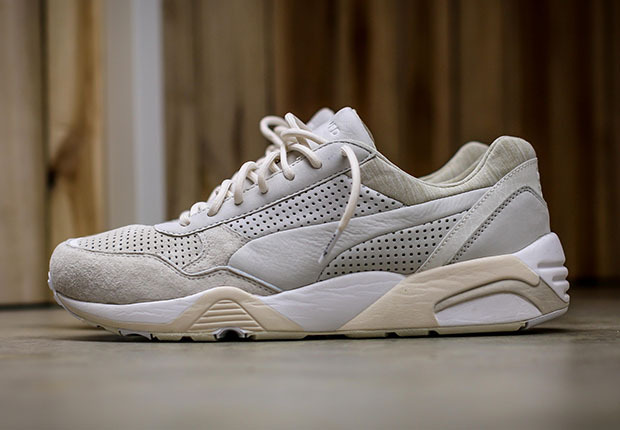 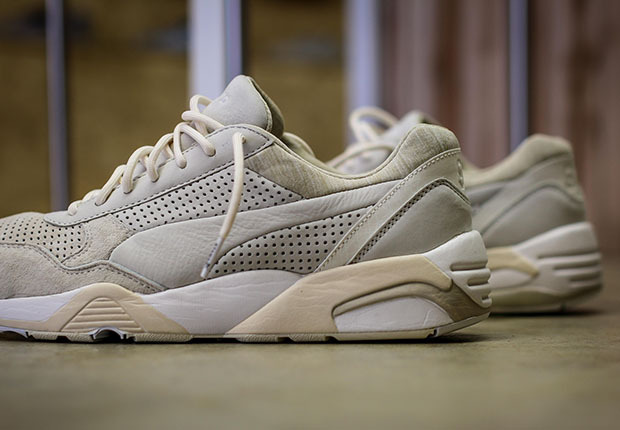 Premium menswear design label Stampd of Los Angeles teams up with Puma for a high-end version of the R698. 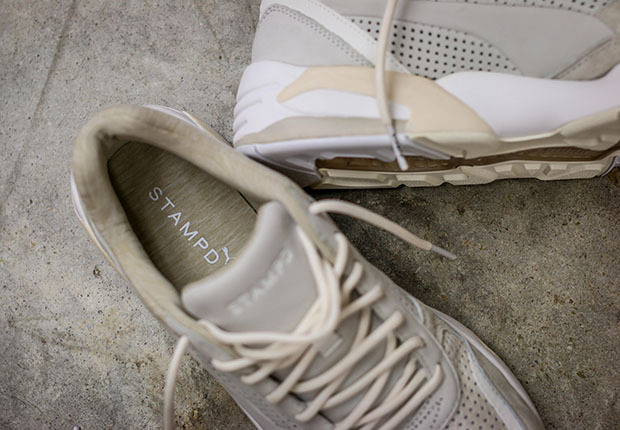 The classic performance running silhouette is transformed into a luxurious footwear option, featuring a creamy off-white colorway constructed in a mix of buttery soft leather and suede with alternating solid and perforated treatments. 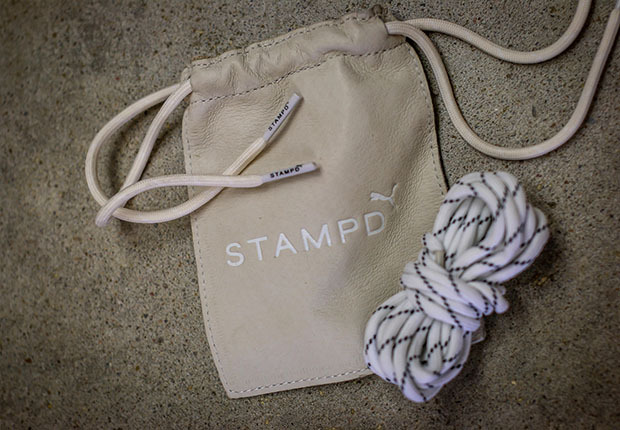 Stampd branding is found…well, stamped…on the tongue and heel, while an alternate pair of striped laces comes in the most premium lace bag you’ve ever seen. 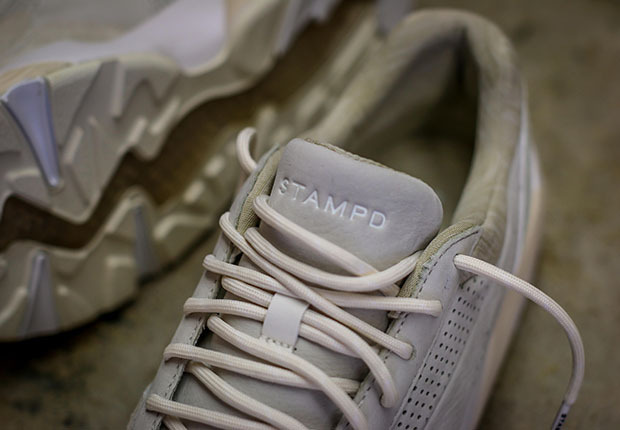 The Stampd x Puma R698 is arriving now at finer Puma stockists, including Rock City Kicks.